Let us meet in Hollywood! The countdown is running and there is less than a month to go before one of the best events this year is starting. So, what are you waiting for? Visit the Connect website and get yourself and colleagues registered. We are looking forward to meeting with you in Beverly Hills, the place we all belong. In October 2018 you had again the opportunity to meet us in Amsterdam. 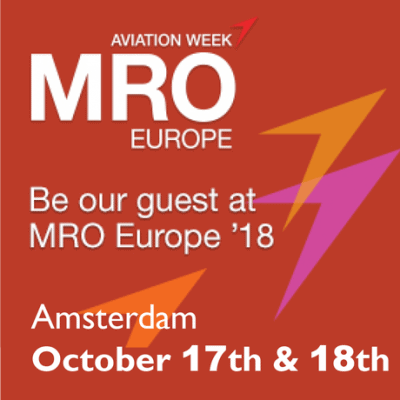 This time, we exhibited on the MRO Europe. MRO Europe 2017 in London attracted over 7000 MRO professionals. This included over 500 airline executives, 100 aircraft leasing executives and 1600 MRO executives. 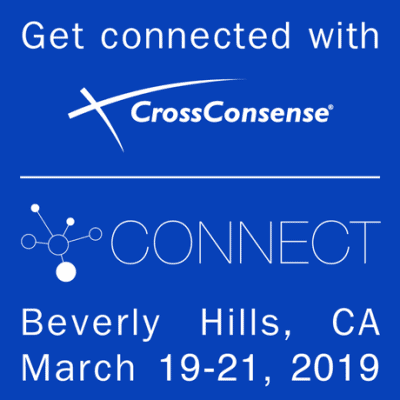 In 2018 CrossConsense will be one of them and you will be able to meet us at our booth. As Partner of SWISS Aviation Software, we were excited to attend and exhibit at the AMOS Customer Conference (invitation only event) taking place in Lucerne on 10-11 October 2018. Our experts on-site were glad to demonstrate the newest version of CROSSMOS® – our electronic technical logbook with a fully functional bi-directional interface to AMOS which is live on SWISS and Edelweiss and to be introduced at further airlines like Aegean, AeroLogic, Air Dolomiti, Alitalia, Lufthansa and Lufthansa CityLine. And, of course, all the vistiors of our booth had the opportunity to get an insight into our other products, i.e. ACSIS and Aircraft Fleet View and our services around AMOS Support. Thanks also to the SWISS AS-team for the good organisation of the conference. 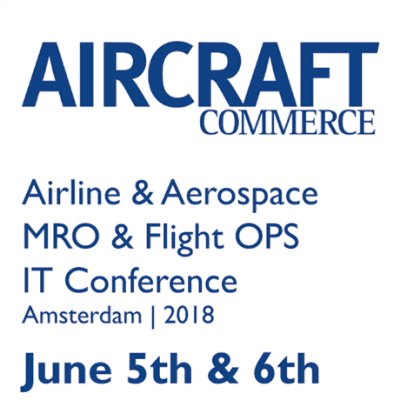 On the world’s only event to address the key issues relating to the development of IT and its key use for aircraft maintenance and flight operations you were able to meet the team of CrossConsense. The conference provided one-stop solutions for airlines, aircraft operators and independent MROs. You were able to discover more about how new technology could streamline and increase their operating efficiency as well as reduce costs dramatically. Thank you for taking the opportunity to speak to CrossConsense’s experienced AMOS-Support specialists – some of the CrossConsense employees provide AMOS support for more than 20 years now – but you were also able to have a closer look on CROSSMOS® – our eTechLog which went Live at SWISS International Air Lines and Edelweiss Air and is in preparation for other airlines like Air Dolomiti and Lufthansa CityLine. We were pleasantly surprised by the growing interest in CROSSMOS® and how many airlines are planning to go paperless within the next couple of months. For those of you who are interested in ACSIS, our software tool for predicitve and preventive maintenance should contact us because there is a webinar recorded in July 2018 which shows the latest develoment in the software. Thank you for visiting us in Amsterdam and thank you for the positive feedback on our presentation together with AeroLogic. It was nice meeting you in Hollywood! 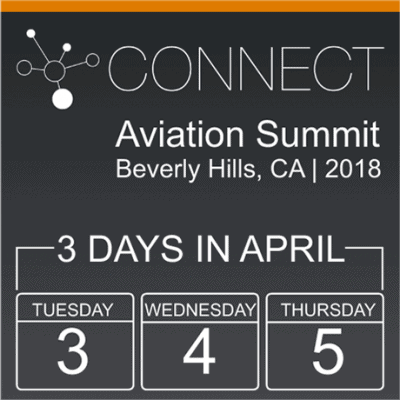 On the ILS CONNECT Aviation Summit, which took place from April 3rd to April 5th in Beverly Hills, California, you did not only have the opportunity to meet our CrossConsense ILS team but also listen to CrossConsense’s CEO, Udo Stapf, as he was one of the speakers on the summit. But he was not the only “famous” person on this event. You might also have met Bruce Dickinson of Iron Maiden. That does not say anything to you? Then you probably have not yet been born when Udo was running around with long hair, flare-jeans and plateau-shoes. Bruce is not only the lead vocalist of Iron Maiden but also the pilot of “Ed Force One”, the Iron Maiden’s tour plane Boeing 747-400 and he will be the key note speaker on the ILS event. Please note, that the attendance of the summit was free for airlines but other attendees also have been welcome as there were special breakout sessions for buyers, sellers and executives. 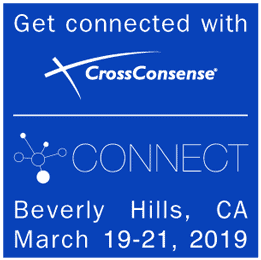 CrossConsense also had an exhibition space to present CROSSMOS® – the electronic techlog and ACSIS – the enhanced trouble shooting and cost saving software at the event. We are also sponsors of the hospitality area “Stardust Penthouse” which is on top of the Beverly Hilton hotel where the event took place and where ILS secured a special room-rate for attendees. If you want to know more about ILS at CrossConsense, please follow the link. We were happy to having met you in Beverly Hills.